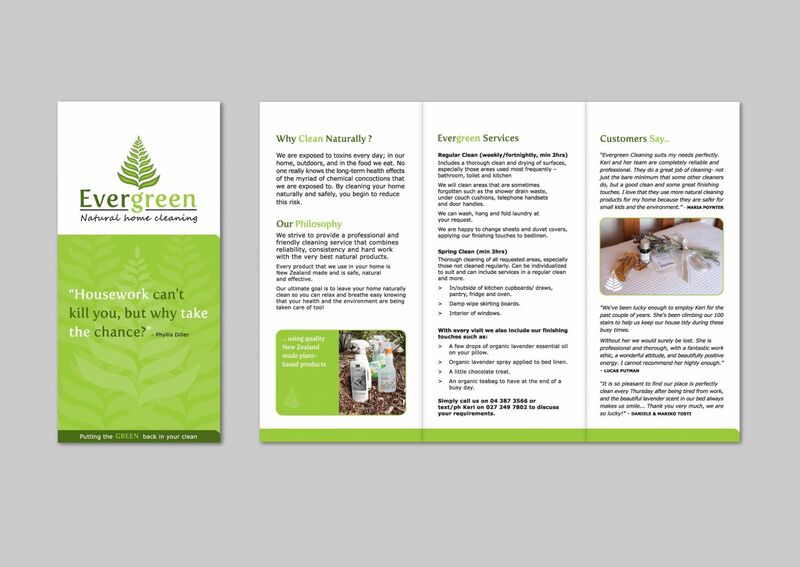 Evergreen Natural Cleaning is a Wellington-based cleaning company that strives to provide a professional and friendly cleaning service that combines reliability, consistency and hard work with the very best plant-based and certified organic products. 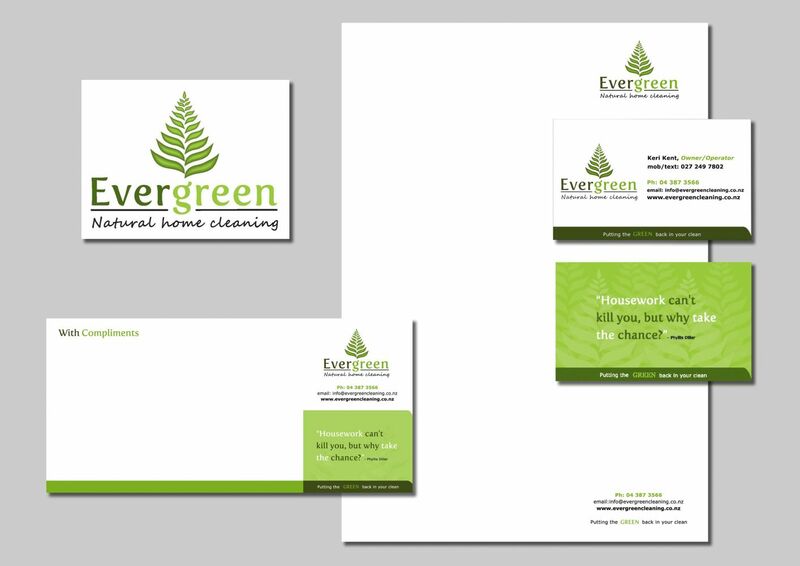 A new logo was designed as well as business stationery a promotional brochure and a website. Project: Brand Logo and Business Stationery design. I illustrated the 3D fern image logo and brand ‘look and feel’ which was consistently applied to the business stationery. Brief: To design a professional website that follows the same look and feel created in the brand. 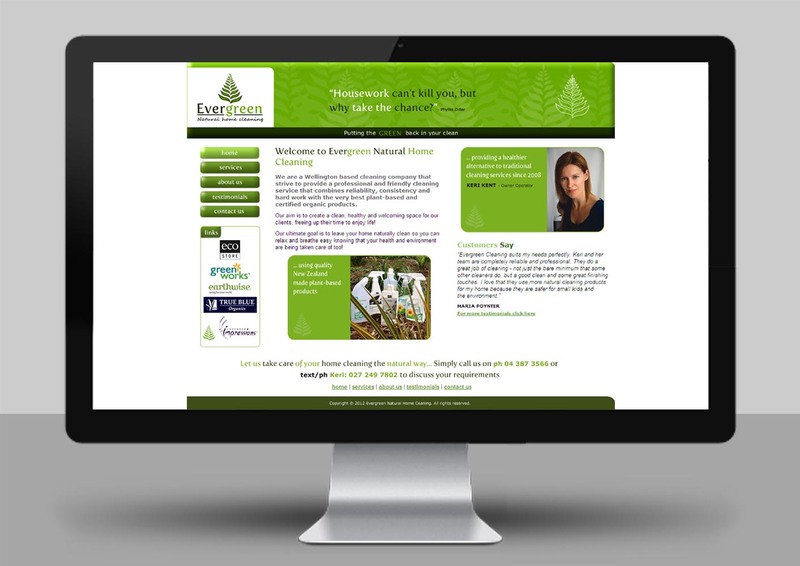 Solution: I designed the Evergreen Natural Home Cleaning website with the same consistent colours, fonts and images as the company brand. I made sure it was simple to navigate and loaded quickly.